A well-known global bank arrogantly advertised wealth as "the ability to say to the world to get lost". Is it not time to stop banks ruling this world? 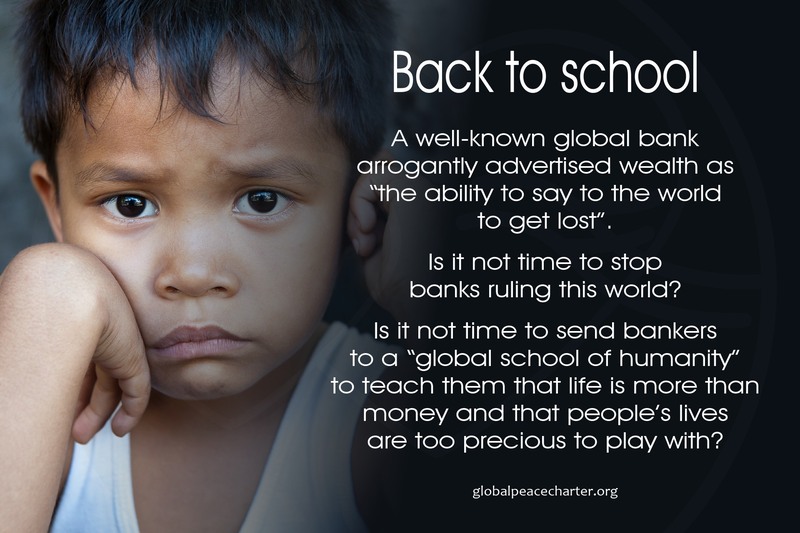 Is it not time to send bankers to a "global school of humanity" to teach them that life is more than money and that people's lives are too precious to play with? 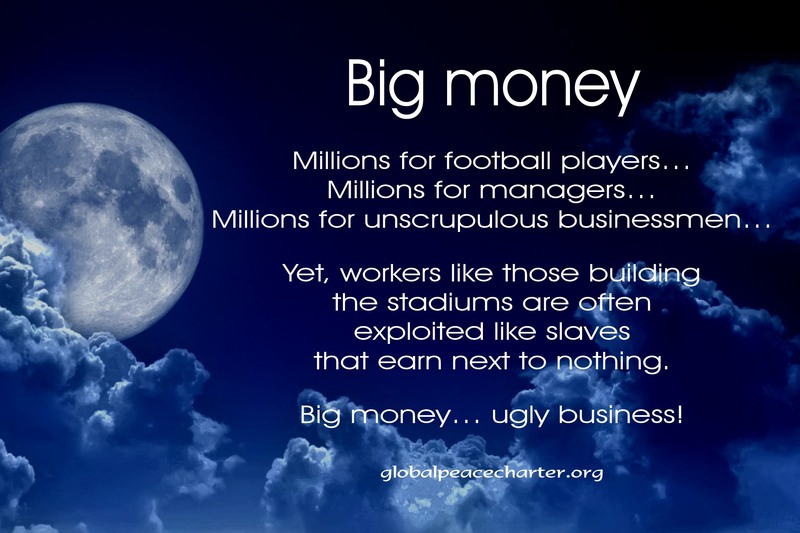 Millions for football players… Millions for managers… Millions for unscrupulous businessmen… Yet, workers like those building the stadiums are often exploited like slaves that earn next to nothing. Big money… ugly business! When politics become so confusing that even politicians cannot figure out what it is all about, how can voters be expected to choose the right leaders? 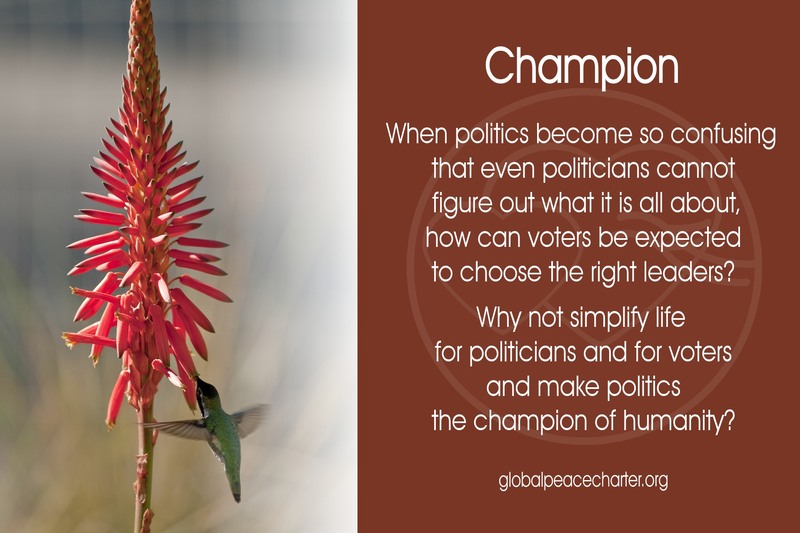 Why not simplify life for politicians and for voters and make politics the champion of humanity? 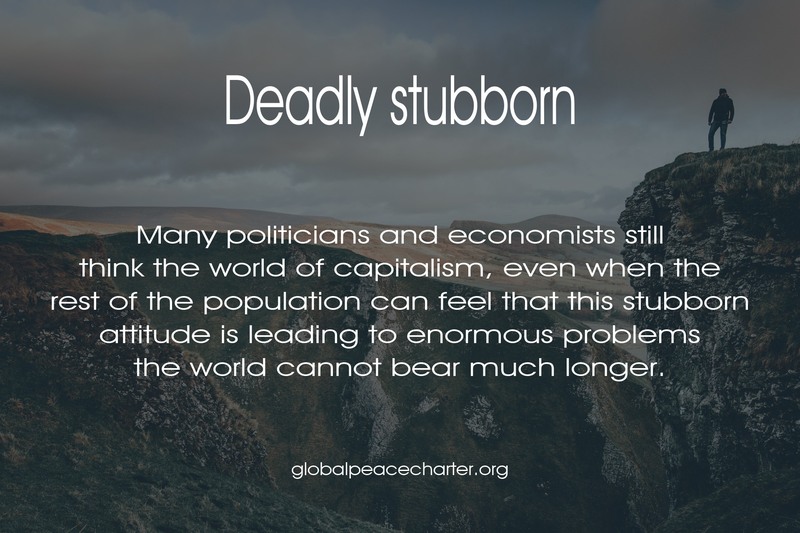 Many politicians and economists still think the world of capitalism, even when the rest of the population can feel that this stubborn attitude is leading to enormous problems the world cannot bear much longer. 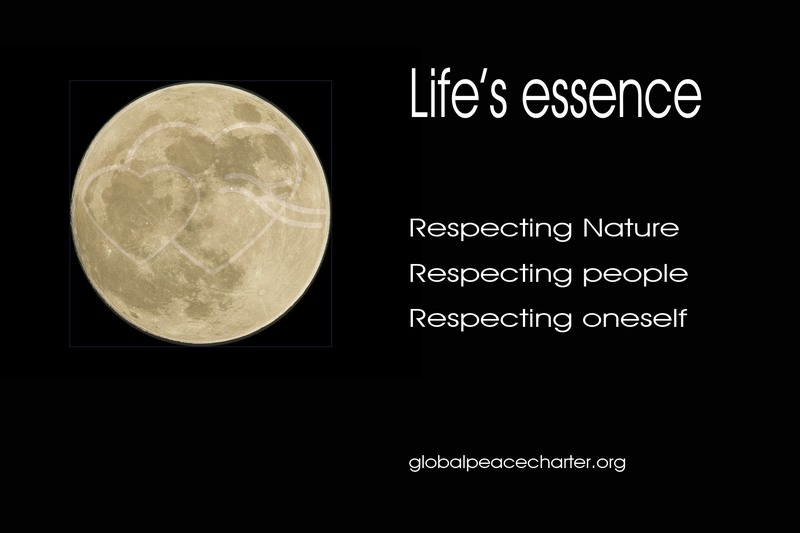 Respecting Nature. 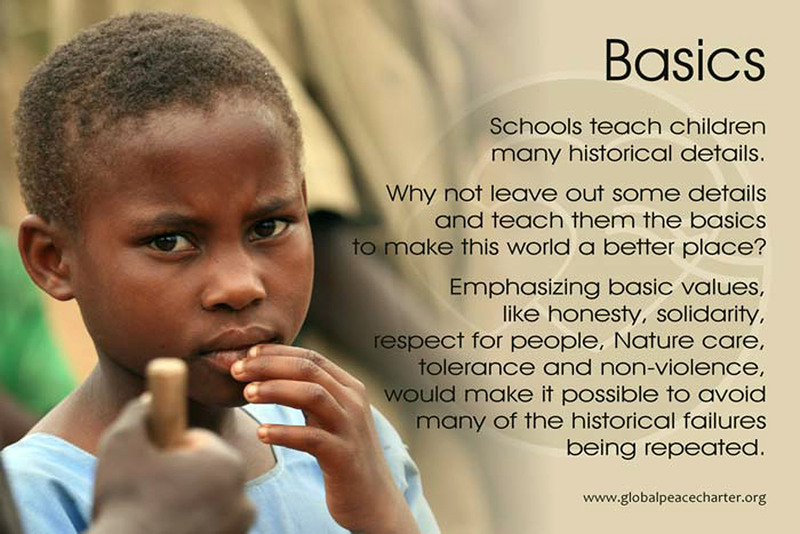 Respecting people. Respecting oneself. 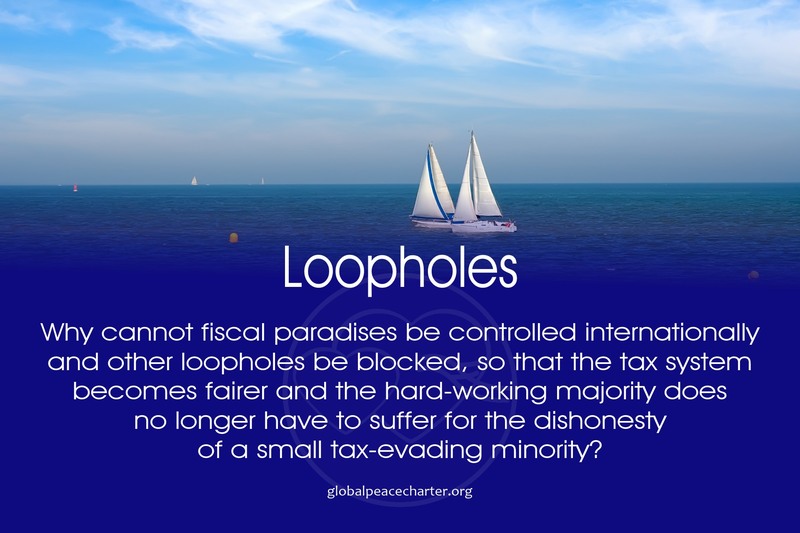 Why cannot fiscal paradises be controlled internationally and other loopholes be blocked, so that the tax system becomes fairer and the hard-working majority does no longer have to suffer for the dishonesty of a small tax-evading minority? Our hearts can communicate. 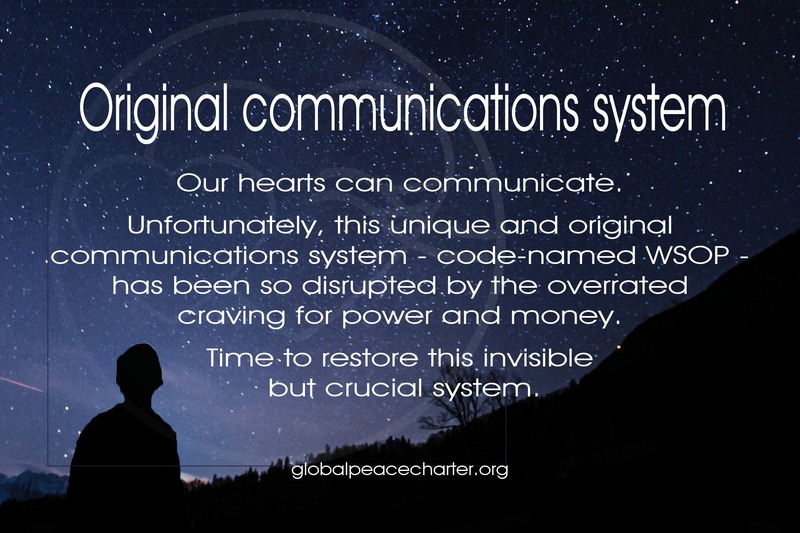 Unfortunately, this unique and original communications system - code-named WSOP - has been so disrupted by the overrated craving for power and money. Time to restore this invisible but crucial system. 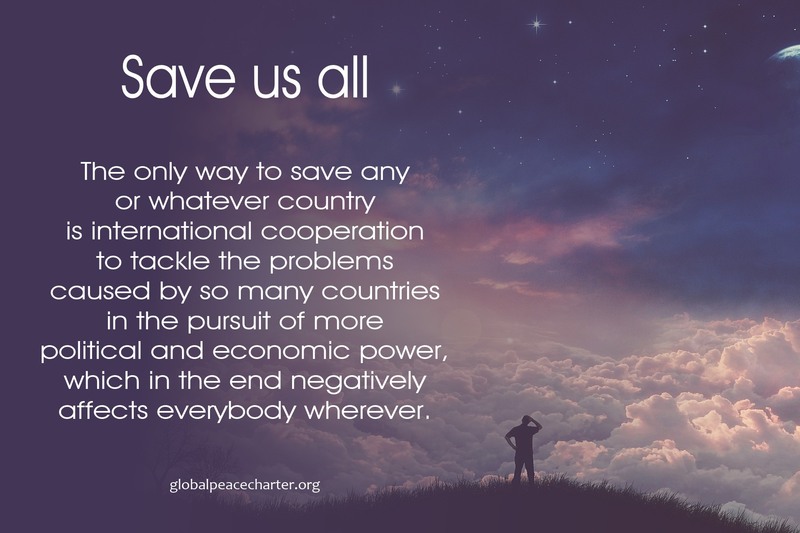 The only way to save any or whatever country is international cooperation to tackle the problems caused by so many countries in the pursuit of more political and economic power, which in the end negatively affects everybody wherever. What is a society? 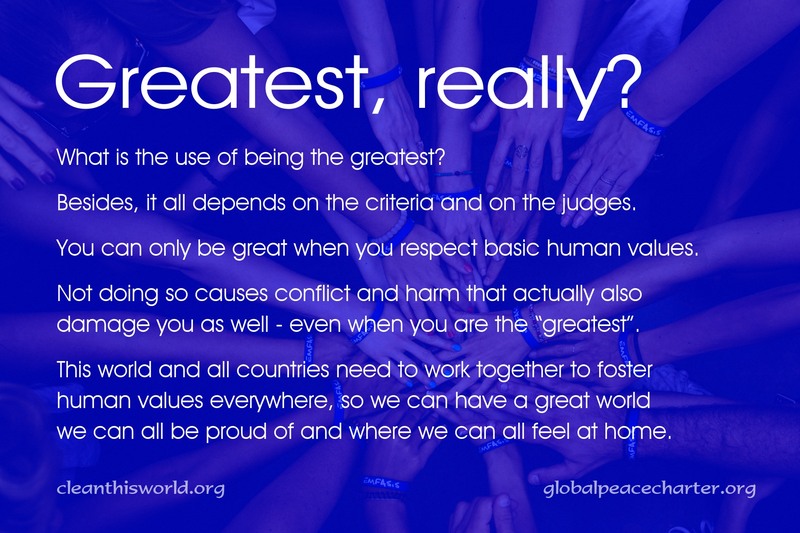 An association of people working towards a common goal: the well-being of all its members. 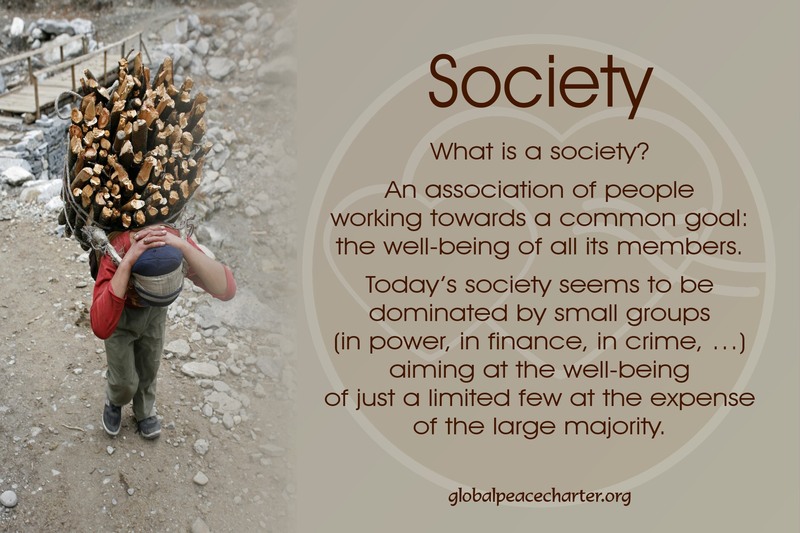 Today’s society seems to be dominated by small groups (in power, in finance, in crime, …) aiming at the well-being of just a limited few at the expense of the large majority. To many, the world is all about me and I. Often there is no room for him or her. 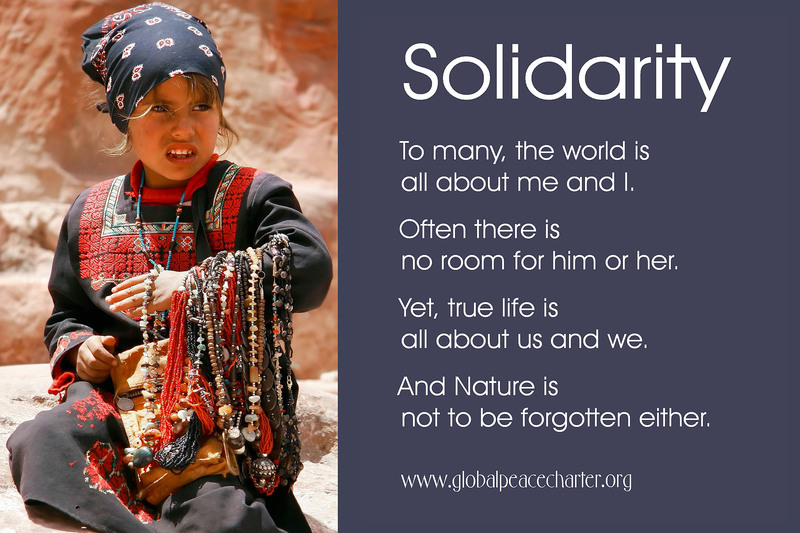 Yet, true life is all about us and we. And Nature is not to be forgotten either.